Sure, there is a lot of information here. If you take the time to scroll through that list over there on the right, you will find advice, neighborhood information, personal rants and some videos. All of it is provided to educate. It is your dime. Now if you just want to start looking at homes, use the link above. It is our personal little Multiple Listing Service rip-off. It has more information than most search engines. Try it, you’ll like it. If you just want to read…go ahead, pick a link on the right and click it. There are so many times that I can recall that a kiss was just what the doctor ordered. 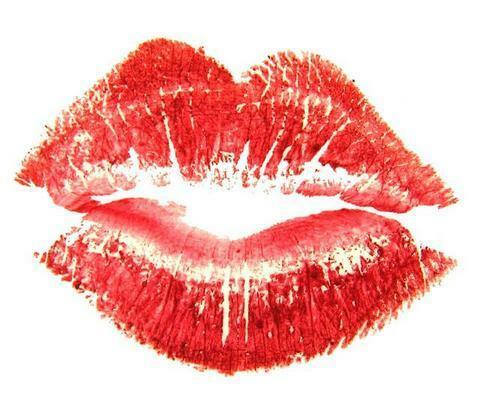 A kiss for good luck, a kiss that bridges fantasy to reality, a kiss when wed, a New Year’s kiss and the infamous call when a ball is hit out of the park “kiss it goodbye” are kisses. The right kiss can remove the stress of home buying. K(eep) I(t) S(imple) S(weetheart). Sure, the process can seem overwhelming. Most people are not involved in the home buying process on a daily basis. I am. I know it may appear like a mystery to you, but I do this all of the time and I have to tell you, it is far less complicated for an experienced agent. There is an orderly process to follow that will keep you on track. To begin with, you don’t need any other people for your first step. You have to move from the “I want to buy a house” status to the “I know I can buy a house” position. Now that sounds simple enough and actually it is. You want to be armed with information from the very beginning. The most important pieces of information are your credit reports and your FICO score. (Your FICO score stands for the Fair Issac Corp., which is the company that uses proprietary algorithms to reduce your financial history to three digit number that ranges between 450 and 850. The higher the number, the better your history and the better your chances are at getting a loan at favorable terms. If you number is too low, you won’t be able to qualify for a loan without an extraordinary amount of money down.) There are three major credit reporting agencies. They are pretty much the same, but not always exactly the same. I would avoid the free credit report sites. They have a lot of small print and tend to end up costing you an ongoing fee. Your best bet is to go to www.annualcreditreport.com. Follow the instructions and gather all three of your reports. You will notice they do not include your FICO score. You can purchase your FICO score online at www.myfico.com. Now, before you ask “Why do I need this if the lender will get it?”, let me just share that it is better to know how you look going in than it is to be blindsided sitting in a lenders office. You should be in control and getting the facts will give you that control. Once you have you credit reports and FICO score in hand, you are ready for the next step. Before you go looking on line, before you start wandering into open houses, before you even begin the home search, you have to KNOW how much home you can comfortably afford. You are now ready to sit down with a lender. My advice is to get in touch with an experienced, local mortgage lender. It is best to focus on a loan officer that is well know in the community. As alluring as the on site lenders may appear, they are often located quite some distance away and that fact may hinder you as the time to close the loan draws near. The lenders job will to be to provide you with a dollar amount for the home you can afford. One word of caution, make sure that the lender is working with today’s interest rate and a clear picture of what your monthly payment will be throughout the length of your loan. With rare exception, you are a fool if you agree to a loan that has low payments today and the caveat that the payments will increase in the future. MAKE SURE YOUR LOAN QUALIFICATION IS BASED ON TODAY’S INCOME AND TODAY’S INTEREST RATES. The goal of this meeting is to get a informal commitment from the lender. The lender should be willing to provide you with a “pre-qualification” letter that will state that the lender has reviewed your credit, has verified you income and the cash you have available for a down payment. The letter should state that the only information needed for the loan is a contract on a home and a satisfactory appraisal of that home. I know you hear the NAR commercials suggesting that you need a Realtor. In Maryland, almost 10 Your next step is to select ONE full-time experienced real estate agent.0% of the practicing agents are Realtors. 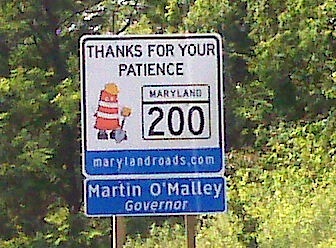 (You see, in Maryland, every agent has to work for a broker. If a broker wants to be a member of the Maryland Association of Realtors, something they have to do to be a member of the NAR, they must agree that all agents working for them will be members as well…ergo…almost 100% of the agents working in Maryland are Realtors). Now, how do you find a good agent (hint: if you have read this far, you are already pretty close to a dog gone good agent, but I digress)? Some would say, ask a friend, ask a co-worker, ask a family member…ask somebody. I would suggest that you can do your homework. Go on-line and find an agent that shares more than listings. Find an agent that has experience in the market and the area. Talk to the agent. Discern their style. Beyond knowledge, you will have to be comfortable and believe that the agent knows what they are doing. I am not the only one that believes experience is a difference. Dave Stevens, the former head of the FHA agrees with me. Why full-time? Representing you is their job and you deserve the full-time attention of the agent. There is no reason you should receive part-time representation from a part-time agent that will be earning full time pay! Of course, you might think that you can go it alone. Every home worth considering is on-line. The listing agent can unlock the door for you. Why go through the hassle of working with one agent? Well, you are right. A monkey can find homes for sale randomly plunking a keyboard. Beyond that, you enter murky waters when you choose to swim alone. Finding the right home is but the tip of the iceberg. Doing it on your own will always leave that nagging doubt “would a real estate agent have found a better home?” Once the home is discovered, do you really want to go on line and print out a contract and sign it? In Maryland there are over 50 pages in a real estate contract to purchase. The body of the document is 11 pages of terms and conditions. In addition to that there are local addendum’s, jurisdictional addendum’s, disclosures about the home, about lead paint, etc., and then you have to add various contingencies for inspections, appraisals and dozens of other potential requirements. You are done yet. If the home is governed by a home owner’s association, you will need to request and review their documentation. There is a sea of paperwork that flows between the front door of your dream and the settlement table where you will close the transaction. The real estate agent is the captain of your ship of dreams and you better be sure he is sea worthy and able to get you into a safe harbor and closed on time. There is a lot to consider when you first begin to believe, “I want to buy a home”. Rather than be intimidated by the challenge, keep it simple sweetheart, follow the easy steps. You don’t have to be a wall flower, the band is playing. Is it your time to dance? I’d love to go over any of this with you. If you are seeking a captain, I’d welcome the opportunity to take the helm! Contact me. Buying a new home? Don’t be fooled by the sizzle. Let an experienced agent make sure you are protected every step of the way. It’s like buying a steak dinner….sizzle doesn’t always mean you are going to get what you want. It has been planned for over 50 years. 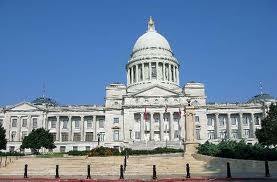 It has withstood protests and lawsuits. Regardless or which side of the battle you were on, the battle is over and the ICC is a reality. One small stretch between 270 and Georgia Avenue opened in early 2010 with a great deal of fan fare and very little traffic. Apparently, not many folks in the Olney area had a need to be in Rockville and there were not many westbound travelers that needed to make their way to Georgia Avenue. Right around Thanksgiving the dynamics changed. The portion from Georgia Avenue to Interstate 95 was opened and lives were changed. Obviously, there are many folks travelling south on 270 or 95 that wish to make the trek from one side of the county to the other without using the capital beltway. For those out-of-towners reading this, the capital beltway (also know as 495) is a fancy name for a bumper to bumper parking lot that circles around Washington DC. This is a map of the ICC. The important points are the interchanges. The ICC can be accessed via 270 by using the 370 exit. There are exits at Shady Grove Metro, Georgia Avenue, Layhill Road, New Hampshire Avenue, Colesville Road, Briggs Chaney Road and 95. A final exit at Virginia Manor Road with access to Route 1 will open later. Rather that reprint the information regarding the ICC and the need for an E Z Pass, let me just add the link to the official website here…. EZ Pass The EZ Pass is also used on other toll roads in the region. The devil is not in the details regarding the ICC. The ICC is a time saver and opens many communities that used to be local road traffic stymied. It is no secret that a great majority of people living in the Maryland suburbs work in Washington, DC. Access to DC in the past was limited to the use of 270 and then to feeder roads. There were other roads available, but 270 became the main funnel from Montgomery County into Washington DC. The Metro, more specifically, the Redline of the Metro was and remains another conduit into the Nation’s Capital. This created a lot of development along the 270 corridor. Now, those that choose to live in Olney, Ashton, Sandy Spring, Layhill, Norbeck, Spencerville, Cloverly, Burtonsville, Laurel and areas close to them have a smooth access to Bethesda, Rockville, the 270 corridor, the redline at Shady Grove or Glenmont and many other commuter routes. The time spent getting from here to there has been reduced. Those moving to the area and feeling they had to only focus on the 270 corridor have more choices. Those people that used to think they had to move to Clarksburg or Urbana because of the need to use 270 now have more neighborhoods to choose from when moving. The eastern portion of Montgomery County has wonderful neighborhoods, lots of green space and plenty of things to do. The ICC has created the opportunity to not only live a little closer to town, it has ended the long days journey into night of commuting into town using Colesville Road or New Hampshire Avenue. If you would like to know more about the neighborhoods that have become more desirable because of the ICC, let me know. I have lived and worked here all my life. I not only know the roads, I have driven them and I know where the potholes exist. My phone number is 301-509-5111. So, you want to know all about Rockville, Maryland? There are plenty of sites on the internet that discuss the history of the town and make up of city hall, etc. What about Rockville today? People from all over the country are familiar with Rockville (at least they know it is reasonably close to Washington DC and lots of folks tell them it is the place to move if coming to Montgomery County, Maryland.). Rockville is much larger than the little postage stamp area located at the intersection of Viers Mill Road and Rockville Pike. Rockville stretches from Georgia Avenue to the east, the Beltway to the south, Potomac to the west and Gaithersburg to the north. 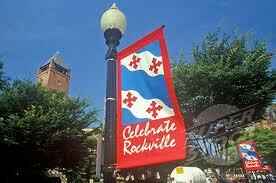 There are over 13 square miles that cover the area called Rockville. Information to help Rockville, Maryland real estate buyers should include information about the neighborhoods that make us this area. The Aspen Hill area, Wheaton Woods – This tiny area of Rockville is really closer to Silver Spring/Glenmont than it is part of the Rockville community. The homes in Aspen Hill Park and Aspen Knolls are older and priced considerably less than homes closer to Rockville or Olney ($250,000 and up). The neighborhoods tend to include more working class residents. Parking is a problem on many of the streets. It is just north of the neighborhood Connecticut Avenue Estates. There is shopping at the Aspen Hill Shopping Center which includes a Giant Food Store and other small retail shops. Bel Pre Woods, Brooke Haven, English Manor– This area is just north of the Aspen Hill area. The homes are priced a bit higher which is a result of location more than any other factor. It is a bit farther north and has good access to Georgia Avenue which in turn can lead to the Glenmont Metro or the ICC. Shopping can be done in Aspen Hill or Leisure World. Brooke Manor – OK, this is a development in and around what used to be Brook Johns old country club. The homes are much newer and more expensive. It is located north of Norbeck Road and is a home owner association guided neighborhood. It is located with good access to the ICC, Georgia Avenue and Norbeck Road. Ellenwood, Flower Valley, Manor Lake, Manor Park, Manor Woods, Norbeck Estates, Norbeck Manor – this area is located north and south of Emory Road and the ICC. The homes are a bit older but are priced in the $500,000 and up range. The quality of the neighborhood experience and the general location are excellent. The neighborhoods have access to walking trails and parks. Burgundy Estates, Burgundy Hills, Burgundy Knolls, English Manor, Lincoln Park, Maryvale – These neighborhoods are closer to Rockville City and are priced between $250,000 and $350,000. The homes are mostly older, built in the 50’s. The neighborhoods are laid out in the old suburban grid pattern. This area has access to the red line station in Rockville. King Farm, Fallsgrove – These two communities are like sister cities. They are both located north of Rockville Town Center. They were both planned, developed and built by the same builders. King Farm is older and a bit more developed, Fallsgrove is a bit newer and a bit farther out. Both are planned communities that are built around a common shopping area. Homes are more expensive, but the amenities of the planned developments are sought after by many buyers. Luxmanor – This community is on the south side of Rockville ( actually reasonably close to Bethesda). The location and size of the homes is reflected in their higher price tags. Homes here run from $700,000 to almost $2,000,000. 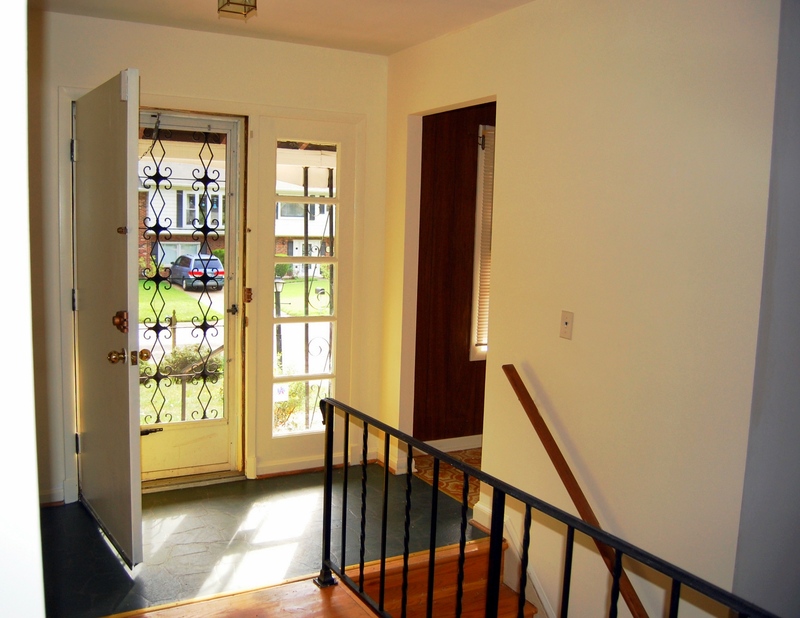 This is an established community that offers a sense of style and access to Bethesda and DC. Montrose, Montrose Woods, Rockville Estates, Roxboro, Woodley Gardens – These communities are located in the area between Rockville Pike and Montrose Road. The homes are favorably priced in the $500,000- $600,000 range. The area is well established and features good access to major commuter thoroughfares. Randolph Hills, Rockcrest, Parkwood – This is another older section of Rockville located off Randolph Road. The homes are older and priced lower than homes farther north or west. Homes in these neighborhoods are about $350,000. The streets are a bit narrower and off street parking is a premium. Twinbrook, Twinbrook Forest, Silver Rock, Stoneybrook Estates – Many of these communities feature homes that were built following WWII and the Korean War. They are mostly small bungalows and cape cods. Prices reflect the age and style. Parking is a premium in these neighborhoods. That covers most of the neighborhoods. I know them all well. Anybody can tell you about the roads. I make it my business to know where the speed bumps are and where potential pot holes in your home search might exist. Rockville is split by one the most famous roads in retail shopping (no offense for Rodeo Drive). It is said in retail and restaurant circles that “if you can’t make it on Rockville Pike, you can’t make it anywhere”. The reason behind the saying drives local residents crazy. You can’t drive on Rockville Pike and hope to get from here to there in a timely fashion. It is clogged from sun up to well after sun set with commuters, shoppers, tourist, the lost, the wandering and the rest. The road is bumper to bumper in both directions most of the day. Area residents are convinced that if 9% of the people are unemployed, they are spending their time driving up and down Rockville Pike. Strathmore – High quality arts programming, designed for audiences of many tastes, served with the hospitality and warmth of a family enterprise, are the hallmarks of Strathmore. Seasonal outdoor events seek to be inclusive in their programming appeal, reaching out to people of all ages, interests and cultural heritage. Beall-Dawson House – Which houses The Montgomery County Historical Society (MCHS) strives to highlight the role of history as a vital part of the cultural and social fabric of Montgomery County. F.Scott & Zelda Fitzgerald Burial Place – Famed author and member of the “Lost Generation” and wife, one-time residents of Maryland, are interred here. The burial sites are located in Saint Mary’s Cemetery. Rockville Town Center – Rockville Town Center is a welcoming and vibrant amenity in the heart of Rockville. The pedestrian-friendly streets and plaza, many restaurants and stores, Rockville Library and VisArts Center with its rooftop deck make Town Square a lively attraction. Rockville is large and diverse. If you are moving to the area, I will certainly offer all the information you need to make an informed decision. Don’t rely on travel guides or real estate books, talk to someone that lives here. My name is John MacArthur and I can be reached at 301-509-5111. Experience the difference Experience makes!